We are never really too young or too old to grow in knowledge and Christian faith. At St. Paul United Church of Christ, our adult members are encouraged to take learning seriously. Our pastors always strive to make Sunday morning worship a "teaching moment" through instructive, well-prepared sermons. Printed copies of many of these sermons are available in the narthex, just outside the sanctuary. In addition, church members can and do make use at home of the "These Days" devotional guides, which, published on a quarterly basis, are available for pick-up in the front church foyer. Most of our church organizations and fellowship groups always begin with prayer and offer educational programs for their participants. Over the past decade our church has additionally developed several adult education programs which offer opportunities to explore scripture in depth and to also look at ways that Christian faith has relevance to the great issues of our own day. 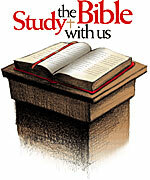 The Tuesday Morning Bible Study meets at 10:30-12:30 a.m., September through July, to read and reflect on scripture. There are usually 10-15 participants. Although led by the pastor, the discussion is informal, informative, and practical. No prior knowledge of the Bible is needed to participate. The Tuesday Morning Bible Study group has recently focused on the New Testament letters of the Apostle Paul. Members of the group often have lunch together afterwards. There are also periodic group outings. For of their outings, for instance, the group toured the Detroit Institute of Arts, focusing on medieval and Renaissance masterworks inspired by biblical themes. During the Lenten season, a Bible study series is offered at St. Paul United Church of Christ on Wednesday evenings, 7:15-8:30 p.m., preceded by a brief worship service. The Lenten Bible Study series is usually topically oriented, surveying Old and NewTestament scripture on particular Christian themes. Although our pastor starts out the series each Lent, guest clergy are invited to lead subsequent sessions. A helpful study guide is provided for all participants. Past bible study series have focused on Job, the parables of Jesus, healing, personal forgiveness, and the excuses we give to God, others, and ourselves for not being more faithful Christians. Throughout much of the year, book discussions are held on Sunday evenings from 7-8:30 p.m. The books vary but are all relevant to our understanding of Christian life and faith. The books are intended to be thought-provoking. Among books read in recent years: Lewis Smedes, Forgive & Forget: Healing the Hurts We Don't Deserve; Rabbi Harold Kushner, When Bad Things Happen To Good People; M. Scott Peck, The Road Less Traveled; Flannery O'Connor, Everything That Rises Must Converge;Sister Helen Prejean, Dead Man Walking; Amos Elon, Jerusalem; Alan Watts, Myth and Ritual in Christianity; Joyce Shutt, Steps To Hope; Graham Greene, The Power and the Glory; Joan Brady, God on a Harley; Philip Hallie, Lest Innocent Blood Be Shed;Nikos Kazantzakis, The Last Temptation of Christ; Charles Williams, All Hallows' Eve; Mike Nappa, Who Moved My Church? ;Lee Strobel, The Case for Christ; Philip Yancey, The Jesus I Never Knew; Ayann Hirsi Ali, Infidel, and M. Craig Barnes, When God Interrupts. All book discussions are led by our pastor. Upcoming book discussions are announced through the monthly newsletter and Sunday morning worship bulletin. Copies of most books can be purchased through the church office. Every January, plus on other occasions as interest merits, our pastor offers a three session Starting Line Class for newcomers and new member interested in learning more about St. Paul United Church of Christ. The classes also provide an important opportunity for newcomers to get to know one another. Through an initial workshop format, participants are encouraged to briefly trace their own faith pilgrimage which has brought them to St. Paul United Church. The wider faith pilgrimage of both our congregation and United Church of Christ denominational family are then described and explained. The gatherings, which are held on successive Sunday evenings, are kept informal so that participants feel comfortable asking whatever questions they may bring. Individual letters are usually sent to newcomers inviting their participation. But you don't need a letter of invitation to be welcomed. Announcement of the upcoming Inquirer's Classes is made through the monthly church newsletter and Sunday morning worship bulletin.